Investing in a triathlon race does come with an oftentimes hefty price tag not everyone can afford to pay. It might take a while to manage to balance off your household expenses, mortgage, and everyday living expenses with your triathlon costs. But if you have come out with flying colors out of the battle, and you are really proud of the latest bike model you’ve finally managed to buy, kudos. Triathlon equipment also comes with its own extra space requirements, especially if you plan on investing in a road bike for training and a more expensive mountain bike for cross-training. Add an extra tri-bike for racing purposes and you’ll get the point. But besides the money and extra space matters, one thing you will need to concern yourself with is equipment safety. Namely, what if someone would steal one or all of your expensive triathlon bikes? How do you think you would react if you woke up to an empty garage or storage room one day? You’ve put so much money, sweat, and tears into your gear that you would have a hard time coping with that dreadful image alone. To help you become more proactive in terms of bike security, here are some guidelines we warmly advise you to check out. Minimize the amount of time your triathlon bike(s) will spend outdoors, where passers-by can take a look at them. You never know when an opportunist neighborhood thief might be lurking down the street, maybe even offering to lend you a hand with your trunk unloading. Pack your bikes last when it’s time to travel to your next triathlon location. See that your bikes are also the last thing you take out of your car when arriving at the destination. The less time they spend being exposed, the better. Use a bike rack to lock your bikes next time you need to travel to an upcoming race. Buy quality padlocks recommended by a local locksmith or lock shop you trust and do not hesitate to invest as much as you can afford into portable security measures. They will make all the difference when confronted with a potential property thief. Keep in mind the way you lock your bike in a temporary location is also critical for its well-being. A bike that is locked improperly in a busy street will quickly vanish right in front of your eyes. Opt for a location where there are dozens of other parked and locked up bikes. Opt for an area in the middle of the bikes, rather than on the end. Make sure you always lock the frame to an immovable object in the street. Simply locking the wheel will enable an experienced thief to leave the wheel behind and take off with the rest of the bike. Do not place the lock on the ground, as crooks can rely on a hammer and smash it against the concrete and rapidly break it. If you are using U-locks, try to fill as much of the space inside the U with the bike and the object it is tied to. 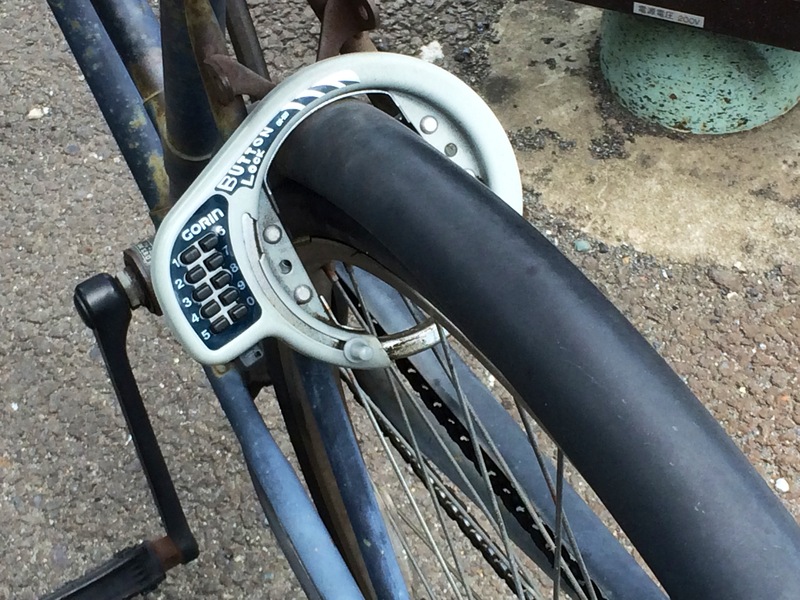 Experts recommend using two D-locks instead, for extra security. This is one of the most common and obvious hiding places where most people like to keep their bikes. And neighborhood thieves are well aware of that. According to a van Lierop, D., Grimsrud, M., & El-Geneidy, A. (2015) study called “Breaking into bicycle theft: Insights from Montreal, Canada” published in the International Journal of Sustainable Transportation, around 50 percent of cyclists who are active fall victim to theft. Plus, only around 35 percent of owners actually report the theft. It’s not surprising if we are to look at the small 2.4 percent of recovered bikes. So if you already fear your bike will get stolen anytime soon, why not do everything in your power to stop that from happening? Make a habit out of taking your bike down to the basement or a secure room around the house you can use as storage. Do not reveal the location of your home address via online apps and social media. Take a look at a few nearby car lockout services that offer the entire range of automotive and home locksmith services. Give them a call and schedule a meeting with them. Have your home inspected for faulty locks and signs of vulnerability n the hands of potential intruders. Replace old locks with a more powerful deadbolt or mortise options, or consider switching to electronic or wireless locks. Place surveillance cameras with sensor and monitoring cameras in your most vulnerable open areas. Avoid using the designated bike area in your apartment building. Get insurance for triathlon athletes for your bikes and equipment and protect them against theft and damage.